Chessington World Of Walking Adventures | Life, Sport and Diabetes - An everyday look at my life with type 1 diabetes. This May Bank holiday I headed with some of the family to Chessington World of Adventures. I'd been before, but I hadn't been whilst wearing CGM and a Fitbit, so the results from being there for the day were very interesting! We arrived at the park mid-morning, and stayed until closing time early evening. The park wasn't too busy so we got plenty of walking time in, the day went so quickly though that I didn't realise until we were on out way back home that I'd walked 6 miles during the day! In correlation to Guardian Connect, it was particularly helpful to be wearing it, because with my phone in my pocket I got alerts everytime my glucose levels dropped. I got fall alerts 3 times, as you can see above, whilst walking around the park, which alerted me to the fact that if I didn't act, then I might end up hypo. Luckily I had some jelly babies to hand and ate 4 or 5 when I received the alert. This kept me topped up so that I could carry on exploring. 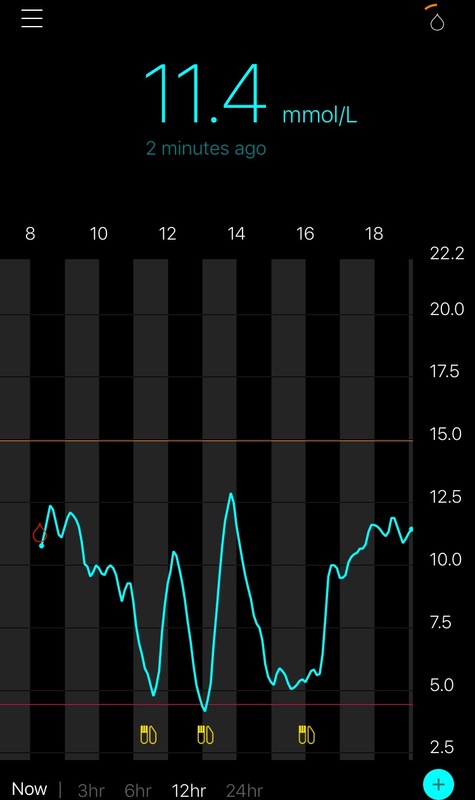 The use of this technology made me feel quite relaxed about being out and about and like I could enjoy the day without being worried about what was going with my levels between glucose tests. There was so much to see wondering around the park, I'm not very good with rides or heights to be more specific, but I do like being able to see the animals. Especially the baby lions that had recently been born at the zoo part of the park! I had a great time at Chessington, I think especially because it was an example of diabetes fitting in with my day, rather than dictating what I would and wouldn't be able to do.